It's been just seven years since Anthony Johnson fought Charlie Brenneman. Think about that for a second. Brenneman has fought at lightweight since that night - October 1 2011, one of the few fights for which Johnson miraculously made welterweight. To look at him now, it seems impossible that 'Rumble' ever weighed 170lbs and his performances definitely suffered by draining his body to near death in his early years in the UFC. Even when trying to make middleweight, Johnson struggled to hit the limit and the UFC had enough of the Georgia native's weight-missing ways when they decided to part ways with him in 2012. After getting the best of former UFC champ Andrei Arlovski at heavyweight, Johnson settled at his new comfortable home of light heavyweight, where he became one of the most terrifying fighters on the planet. In his eight bouts in the UFC's 205lbs division, Johnson knocked out five opponents and only lost to current champ, Daniel Cormier. 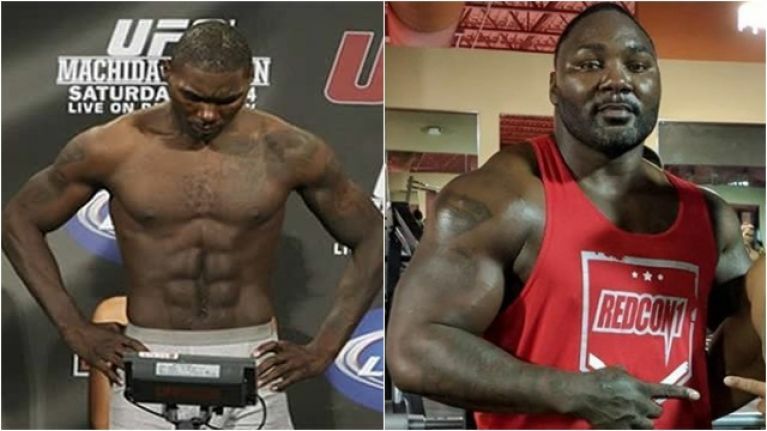 'Rumble' retired from competition last year and has significantly bulked up in his time away from the Octagon. At 34, Johnson is now entertaining the idea of returning to the fight game for a meeting with the one challenge that eluded him. According to Johnson's controversial manager, Ali Abdelaziz, his client could be tempted to dust off his gloves for a clash with the returning Jon Jones. "I talked to Rumble last week, right? And he said if Jon Jones fought ‘DC’ as a heavyweight, and if Jon wins, he wants to come back and this is the only fight he thinks he’d come back to fight, Jon Jones," Abdelaziz said on Ariel Helwani's MMA Show. "Anthony Johnson is 285lbs [right now]," Abdelaziz added. "He wants to come back as a heavyweight. But I think it [will] have to be something different. He can’t just come back. He misses the sport and says he will come back to fight someone like Jon Jones. "He’s just having fun [with the bodybuilding]," Abdelaziz added. "He’s been in the sport for a long time, he’s resting his body, he’s having fun. He will fight again for sure. For sure, 100 per cent."